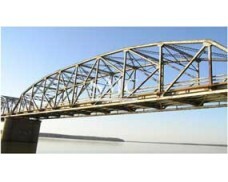 Box girders comprise two webs that are joined top and bottom by a common flange creating a closed cell that offers very good torsional stiffness, which may be required on highly curved bridges. 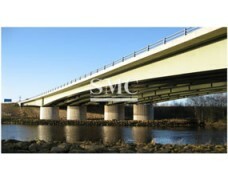 In beam and slab bridges, box girders are an alternative to plate girders at the upper end of the span range, where they offer a lower steel weight, although this has to be balanced against increased fabrication costs. 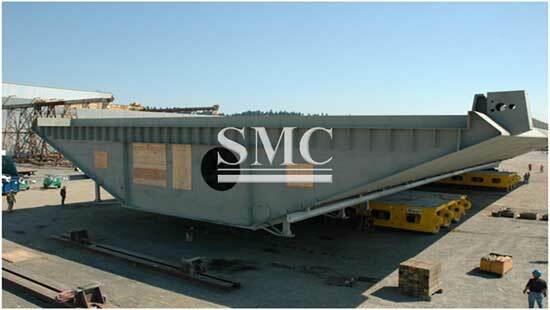 Such composite box girder decks may take the form of multiple closed steel boxes, with the deck slab over the top, or an open top trapezoidal box, closed by the deck slab. 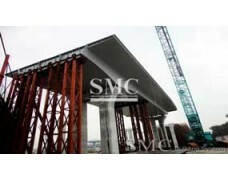 Longer spans of 100 to 200m typically use either a single box or a pair of boxes with crossbeams. 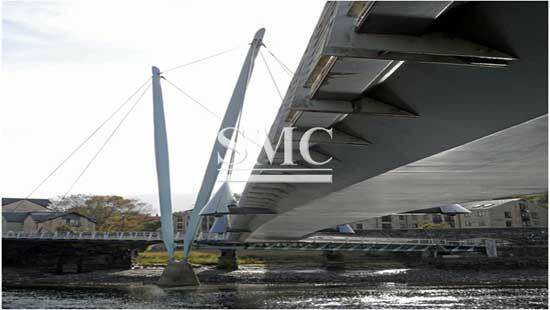 For such long spans and for bridges such as lifting bridges, where minimising structural weight is very important, an all-steel orthotropic deck may be used instead of a reinforced concrete slab. 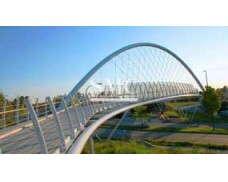 Above about 200m, box girders are likely to be part of a cable-stayed bridge or a suspension bridge, where they are specially shaped for optimum aerodynamic performance. 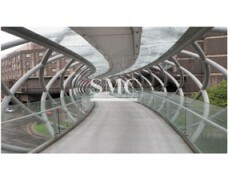 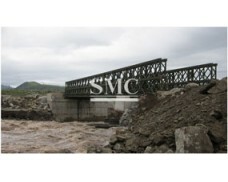 SMC will use Corten Steel un this type of bridge, Corten steel is a high strength low alloy steel that in suitable environments forms an adherent protective rust ‘patina’, to inhibit further corrosion. 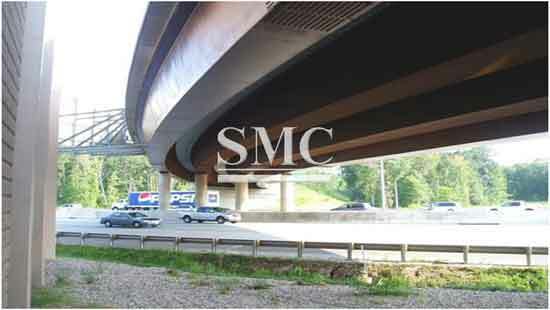 The corrosion rate is so low that bridges fabricated from unpainted weathering steel can achieve a 120 year design life with only nominal maintenance.